Hong Kong is often described as the centre of the Funds industry in Asia. According to the Securities and Futures Commission’s (the “SFC’s”) Fund Management Activities Survey 2015, published July 2016, overseas investors remained a significant source of funding for Hong Kong’s fund management business, accounting for 68.5% of the HKD17,393 billion figure for combined fund management business (of which HKD12,259 billion was asset management business). There was also an increase in the proportion of assets managed in Hong Kong (accounting for 55.7% of the asset management business). Hong Kong’s robust regulatory framework and innovative products continue to attract international investors along with continued regulatory developments facilitating easy access to other Asian markets. View the full country distribution guide for Hong Kong (Irish Funds member login required). 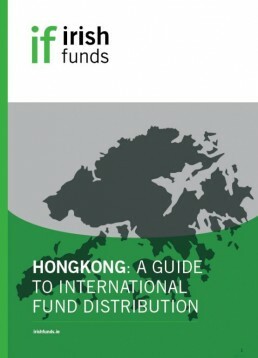 The distribution country guide for Hong Kong is available for members of Irish Funds. This guide gives a detailed view of the Hong Kong market and the ins and outs of distributing funds there. Shane O’Donovan (Hong Kong Legal Counsel, Old Mutual Global Investors) gives an overview of the funds industry in Hong Kong.